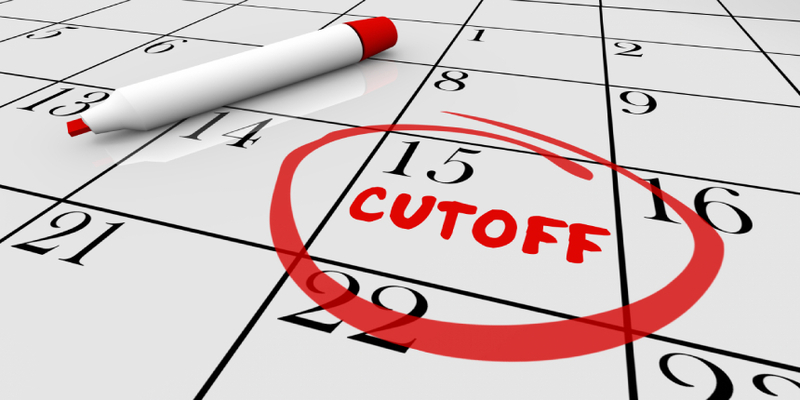 DU Eleventh Cutoff 2019 - Colleges of the University of Delhi will release the DU 2019 eleventh cutoff online by the Last week of August 2019. The eleventh cutoff of DU 2019 will be released separately by the colleges of the University of Delhi for the different undergraduate programmes. The DU 11th cutoff 2019 will be released as per the availability of vacant seats in each of the colleges under different categories and programmes. The Delhi University cutoff for the different programmes will be determined based on the best of four marks, the programmes, number of applicants and the delhi university 11th cutoff trend for the programme from the previous year. The university of Delhi will release the cutoff lists of DU Admission 2019 as per the availability of vacant seats after the document verification for each round is completed. Candidates admitted to the different programmes must complete the admission process by submitting the admission fee online through the admission portal of the University of Delhi. The detailed admission process to be followed after the release of the Ninth cutoff of DU 2019 is given here. Candidates who qualify the DU 2019 ninth cutoff can check the admission process here. Step 1: After the 11th cutoff of Delhi University is released candidates must cross check to see if they qualify the cutoff mentioned for each of the programmes. Qualified candidates must login to the admission portal to fill the admission application form and attend the document verification process. Step 2: The following documents must be submitted for the 11th round document verification. Step 3: After the document verification process is completed candidates must login to the admission portal and pay the Admission Fee online using the link available admission portal. Once the fee is paid successfully the admission process to that particular college is complete. Cancel the admission online, and pay the requisite Admission Cancellation/ Withdrawal fee. Print the receipt of the cancellation fee and submit the same to the college where they were admitted and withdraw his/her original certificates. Follow Steps 1 to 3, for taking admission in another course-college to complete the admission. In this new admission, the candidate will pay only the balance fee of the new college in which he is taking admission. In case any extra amount is paid by the candidate it will be refunded after the last date of admission to the bank account of the candidate. The Delhi university 2019 Eleventh cutoff will be released online for all B.A, B.Com and B.Sc programmes offered by the 86 colleges of the University of Delhi. Candidates who qualify the 11th cutoff of Delhi University 2019 must login to the admission portal of the university to complete admission application form and attend the document verification process. DU Eleventh cutoff list 2019 will be released based on the vacant seats available in each of the programmes. After the document verification for Delhi university 11th cutoff list 2019 is complete candidates must complete the admission process by paying the admission fee through the admission portal. A common list containing the cutoff marks of all the colleges of the university will be released on the website of the University of Delhi.